PPH presents White Men Can’t Jump | TONIGHT! I’ve never really understood what that means, but tonight, at the Clapham Picturehouse, I’m going to get another chance to find out. And you’re invited too. In the third edition of Permanent Plastic Helmet presents (following Do The Right Thing and Beats Rhymes and Life: The Travels of A Tribe Called Quest), we’re delighted to be putting on a 20th anniversary screening of Ron Shelton’s classic comedy White Men Can’t Jump. To get you in the mood, you can remind yourself of how amazing the film is by watching the trailer, or (and I highly recommend this) by reading this fascinating oral history of the film’s making over at the top sports & culture website Grantland. We’re kicking off in the bar at 7.30, with drinks, music, pizza and snacks, then the film (preceded by a brief intro from yours truly, and a raffle draw) at 8.30. You can buy tickets here, or rock up on the door. Prices are £9, £8 members, £7 concessions. See you there! This entry was posted in Events and tagged basketball, Clapham Picturehouse, Comedy, film, Rosie Perez, Wesley Snipes, White Men Can't Jump, woody harrelson on December 6, 2012 by Ashley Clark. Following hot on the heels of sold-out showings of Do The Right Thing and Beats Rhymes and Life: The Travels of A Tribe Called Quest, PPH presents... returns for its third outing with a special 20th anniversary screening of Ron Shelton’s classic basketball comedy White Men Can’t Jump. The time and place? 20:30 on Thursday 6 December at south London’s lovely Clapham Picturehouse. 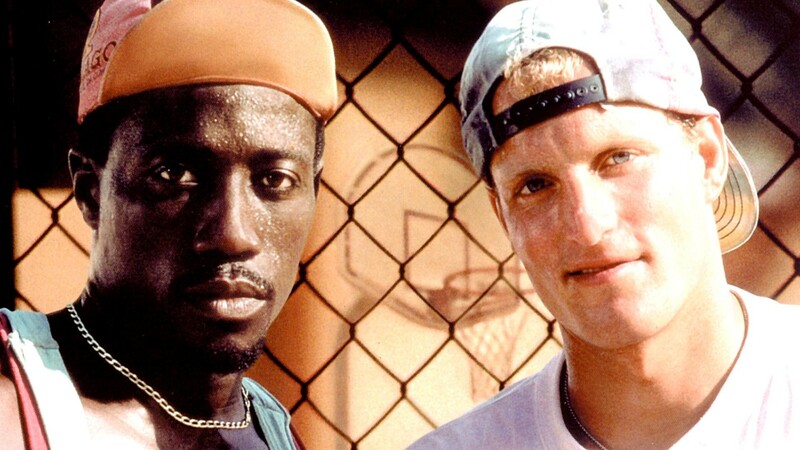 One of the funniest films of the 90’s – and one of the greatest sports movies full stop – White Men Can’t Jump features career-best performances from Wesley Snipes and Woody Harrelson as competing street b-ball hustlers pushing each other to the limit in the scorching L.A. sun. With ace support from Rosie Perez, and bags of zinging dialogue, it’s a dazzling tale of hoops, race, relationships… and foods that begin with the letter ‘Q’! This entry was posted in Events and tagged basketball, Clapham Picturehouse, event, Thu 6 December, Wesley Snipes, White Men Can't Jump, woody harrelson on October 16, 2012 by Ashley Clark.